The Seventh Day Adventist High School in Pohnpei has been lucky to have visiting Basketball Coach Ryan Burns attending the school 2 days a week since his arrival on the 18th February. 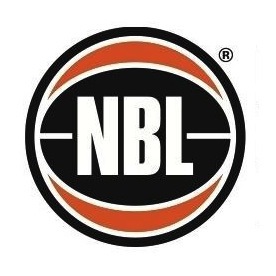 With 12 new basketballs, everyone is able to get maximum benefit out of the sessions which involve, dribbling, passing and shooting techniques as well as drills and 3 on 3 and 5 on 5 matches. 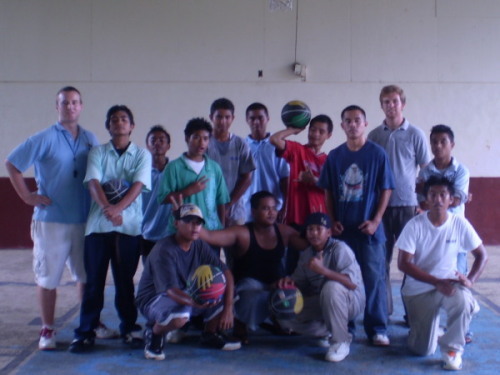 The students are really enjoying the sessions because basketball is the most popular sport in Pohnpei, and it allows them to practice their skills for when they go and play with their friends. 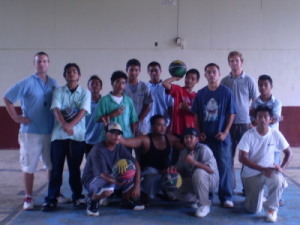 The clinics will contine twice a week until Ryan leaves for Kosrae on April 2nd 2008.